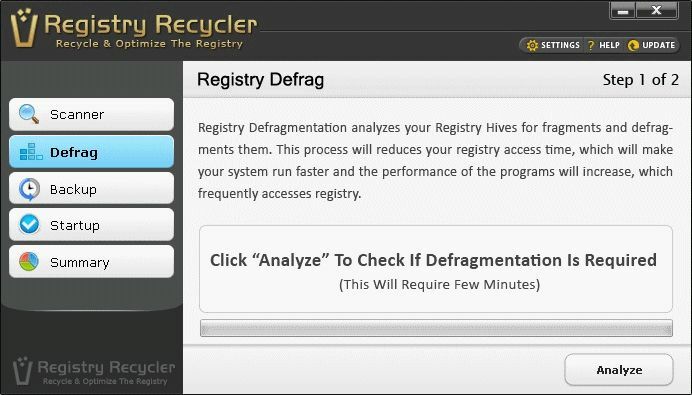 Registry Recycler is a free utility that scans your PC and Windows Registry for errors and problems it can fix. It can optimize the Windows Registry, and it can defragment registry files. It also has options for Backup and Restore for the Registry, and a useful Startup Manager that can help to reduce the load on the system at boot. Registry Recycler stores the summary of results such as time of scan performed, number of errors detected in different Windows registry categories, number of errors cleaned and errors sent to list of ignored keys. NOTE: This is the portable version of the tool with no installer.